I will NEVER forget watching this performance live at the 1992 VMAs. I can remember thinking, “Ooh my gosh! Slash is on TOP of Sir Elton Johns piano” GASP! The single won for best cinematography and the band also walked away with a Video Vanguard award. 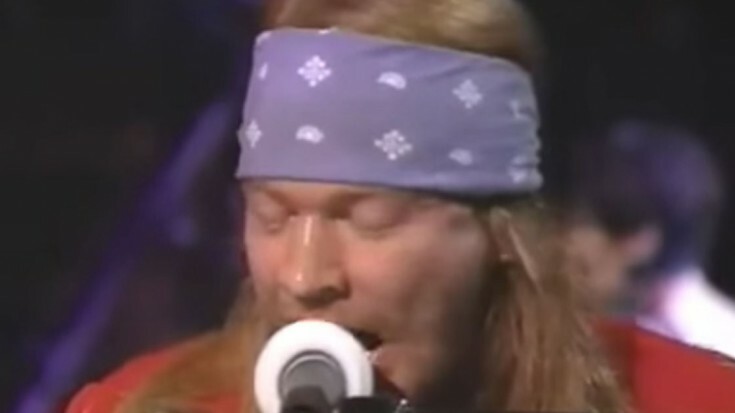 November Rain was written by Axl Rose, and was released on their third studio album, Use Your Illusion 1, in 1991. The first version of this song was 25 minutes long! It was later edited down just shy of nine minutes. It is the longest ever Top 10 song and has the longest guitar solo in a Top 10 single, making it the longest song in HISTORY to enter the top ten of that chart! Shannon Hoon from the group Blind Melon whom I love endlessly, sang backup on the bands studio version. This video is definitely a staple in music history. I hope you enjoy it as much as I did!